When I was in grad school at Oregon, I read a footnote that changed my thinking forever. It was in Robert Heilbroner’s An Inquiry into the Human Prospect. The text, as I recall it, was talking about how we were going to run out of copper. The footnote said that actually, we would never run out of copper, but that the cost of copper per ounce would rise to levels that would prohibit our using copper in all the ways we are not using it. Formally, these two positions are contradictory. We will run out of copper; we won’t run out of copper. Practically, the second is just a specification, a more careful explanation, of the first. There will always be copper, but we won’t be about to use it any more. This brings me to coastal properties in Florida and, eventually, just to Florida itself. All of it. Will coastal Florida continue to be available for newly constructed housing? Yes, it will. Will the dramatically rising costs of insuring homes on the Florida cost make new housing there virtuall y impossible? Yes, it will. And the cost of insuring modest homes that have been there for a long time. Here we see precisely the play on “available” for coastal housing that Heilbroner used for “available” copper. Yes, there will still be dry land at the Florida coasts that is zoned for individual residences. No, insurance on those houses will not be available to the people who are now living there. They are going to have to move. And they will have to move not as the ocean rises (which it is doing in increasing rates) but at the insurance premiums rise. You were looking for examples of art imitating life? There you go. People who thought the greenhouse gases would not cause in increase in insurance premiums just weren’t thinking the way insurance people think. Here’s a piece from the New York Times that lays out some of the fundamentals. Insurance people think that the risks they incur in insuring coastal homes should be echoed in the premiums the homeowners pay. That doesn’t sound all that unreasonable as a business model. Residents who are looking at a quadrupling—from last year to this year—of their insurance premiums are not thinking about business models. They are thinking that the Sheriff has come to the family home, based on a speculative article in a journal of meteorology, and thrown them out of their house. They may have heard of climate change, but it hasn’t been any part of the discussions the governor and the legislature have been having. So the insurance nerds are being prudent and the homeowners feel like they are getting mugged. But even in Florida, “stand your ground” is not a strategy that will deal effectively with rising oceans and the insurance companies are going to do what they are going to do. The federal government is also going to what it is going to do because Congress has assigned itself the job of maintaining a national flood insurance program. After the costs imposed by Hurricane Katrina, Congress passed the Biggert-Waters Flood Insurance Reform Act, the goal of which was to keep down that part of flooding costs that the feds were liable for. The program does have to remain solvent, after all. The Congress is truly sorry that people are being priced out of their homes, but Congress cannot bear the cost of keeping them in place. We are, after, all trying to reduce the size of the federal government. Americans are accustomed to finding technological solutions for problems that would otherwise be intractable. Part of that effort involved talking to Dutch engineers because The Netherlands is famous for its flood control technology, but (see the New York Times account) “the very different topography of Miami Beach and its sister coastal cities does not lend itself to the fixes engineered by the Dutch.” In addition to which, points out Miami Beach city manager, Jimmy L. Morales, “Ultimately, you can’t beat nature, but you can learn to live with it.” Learning to live with it currently costs The Netherlands $1 billion a year for flood mitigation and they are working with about 280 miles of coastline. 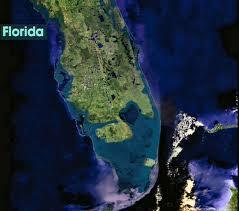 Florida is working with 1197 miles of coastline; more than four times as much. This is not a problem that “government” at any level, or at all levels together, can solve. We made the choices that have producing the rapidly rising seas a long time ago. Even mitigation is going to be horribly expensive and mitigation is a short term response. A governmental response is going to require that government be trusted and funded at levels we have never contemplated before, except in wartime. Is this wartime? If I lived anywhere in Florida, I think pushing for increasing levels of trust in the only government that can summon the will and the resources to help me, would be a prudent thing to do. Florida, of course, is not known for its prudence, so we will see. JFK speechwriter Ted Sorenson found the slogan in the writings of the New England Council during Kennedy’s career in the Senate and began to insert it into Kennedy’s speeches. Everyone was expected to be enthusiastic about that. In Florida, it is going to lift all houses and no one is expected to be enthusiastic. The “waters” in the Biggert-Waters act is Maxine Waters, Democrat of California. She is apparently well-known so nothing I have read commented that a Waters sponsoring flood control legislation was at all funny. This entry was posted in Paying Attention, Politics and tagged flood insurance, flood mitigation, Florida, rising oceans, trust in government. Bookmark the permalink. A well written piece illuminating the hazards of owing an ocean front home in the shore-lined state of Florida. However I have a slightly different opinion in terms of resolutions, for like many who live in Florida, my home, too, is subjected to “severe repetitive flooding.” Toward full disclosure, my home is not ocean front so is not rated in the highest flood insurance category: “V” which = severe repetitive flooding + high velocity water damage e.g., ocean waves. However, like those in Florida, my unfortunate location is subjected to significant rate hikes to cover the spread in the event my house floods again, and odds are – it will. I think that stinks, but that it’s fair. Why? First of all, flood insurance can ONLY be purchased via the government run National Flood Insurance Program – no nongovernment branch of insurance exists. What that means is that when my house floods and my premiums do not cover the damage, the TAXPAYER picks up the rest of the tab. I don’t know about you, but I think our taxes are plenty high enough already without having to subsidize someone who wants to maintain their ocean front property. How did we get into this mess? 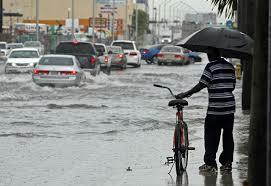 Flood insurance rates were kept artificially low and were subsidized by the government for years. Now the government is realizing this was a short-sited notion for it had the unfortunate side-effect of people and businesses expanding well into the floodplain areas, building in areas much to close to the water – especially with the current rate of rising seas. The situation is very likely to get worse before it gets better, but regardless, something has to be done. When the rates sky rocket – and only when they become cost prohibitive – will people stop building in flood zones. For everyone caught in this trap, it is very unfortunate. I really enjoyed your writing style. Thanks for that really engaging information. I agree completely with your notion of the direction we need to go. I am on my way to your page right now to see what else you’ve got. I appreciate that. This is a conversation that needs to be heard by the people running FEMA, community lawmakers, and homeowners in a flood plain alike. Thanks for putting your engaging piece out there.